Lets start with the elephant in the room – what possessed a person like me who has never owned a 4 seater car or any automatic go buy a 2+2 Evora Automatic? While I am a Lotus fan and had driven the original naturally aspirated Evora at launch, it just wasnt sufficiently different enough to switch over from my Elise. 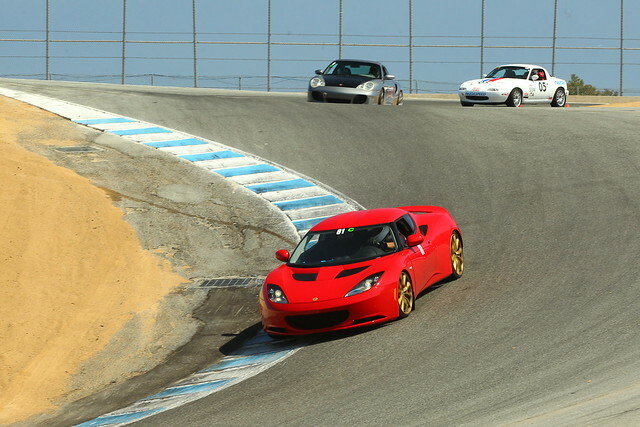 That changed when ScottW let me drive his beautiful GP Edition Evora S during the 2013 WCLM and I was just blown away. The car finally had the power to match its looks and the effortless acceleration made it a joy to drive on the highway. However since I already owned a fully depreciated Elise I still couldn’t justify the ~$90k that a new one was going for. Fast forward to this year and as I getting more and more irritated by my sorry Dodge Hellcat saga I started keeping an eye on the used Evora market to see if the right car would pop up. 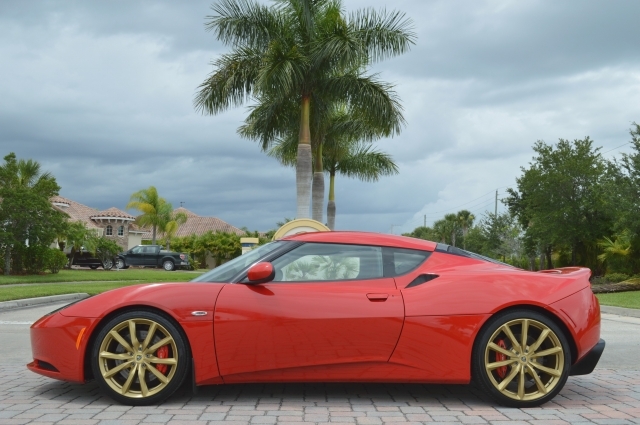 In July a red 2013 Evora S IPS became available at a steal of a price and I seriously began to consider the car. A red IPS 2+2 was not my first choice (I’d prefer a Carbon Grey 2+0 manual with oyster interior) but with only ~450 Evora S in the country there was no guarantee that a manual in the right colour would ever be available, especially at the price this car was posted at. In the end I bought the car sight unseen and had it shipped to CA from FL. I was happy to find that the car had only minor cosmetic issues and was basically as expected. I also had DietschWerks give it a quick once over and pronounce it as mechanically sound before making it my new daily driver. The Evora S is ~1100 lbs heavier than the Elise and while that is a significant number, it does not manifest itself as a lumbering weight on the road. Instead the car still feels nimble with the weight manifesting as a feeling of stability under acceleration and braking. If I didnt know the numbers I would have said that it was a 2500 lbs car instead of 3100 lbs. 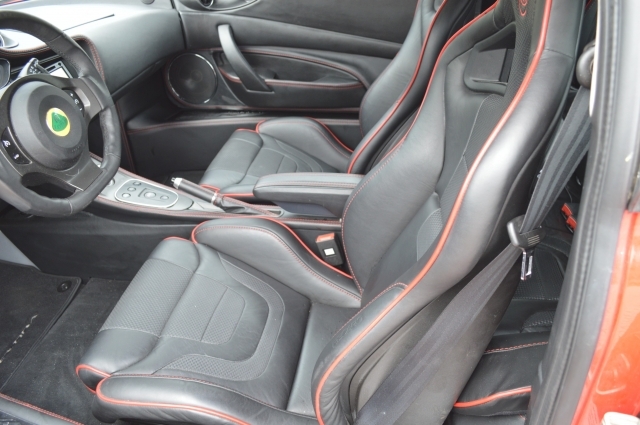 In return for this extra weight you do get a significantly upgraded interior that is a really nice place to be with every surface finished in leather. The car is quiet and comfortable and makes a fantastic grand tourer where you do not need earplugs for long drives. The rear seats are essentially useless unless you have some headless double amputee friends you can stuff in the back. However they do make for excellent storage as does the trunk which is larger than the Elise and can even fit some folding chairs (I suspect it was designed to fit golf clubs). 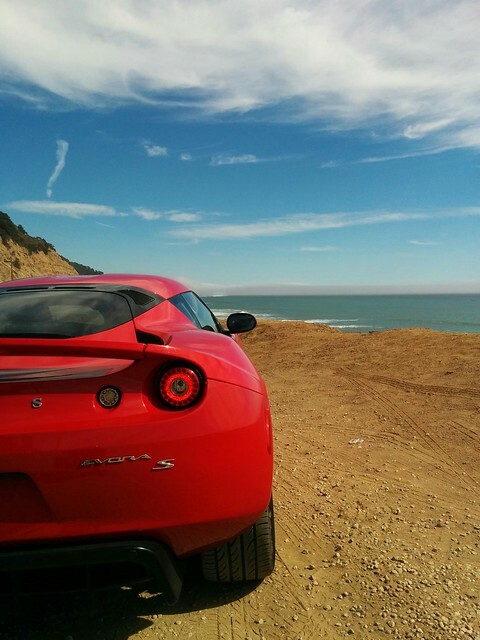 The practicality of the Evora is much higher than the Elise though you still cannot parallel park it due to the fragile and expensive bumpers. The power is fantastic and it is great fun to drive on street in a car with some real acceleration. The IPS gearbox is actually quite nice on the street as it is very good at quick downshifting in sport mode and just blowing past the traffic. In general the sport mode with the higher readline and more aggressive gearbox really makes a huge difference to the car and transforms it from a grand tourer to powerful sports car. All in all after 1000+ street miles I am very satisfied with the Evora S IPS as an comfortable but still fun daily driver. 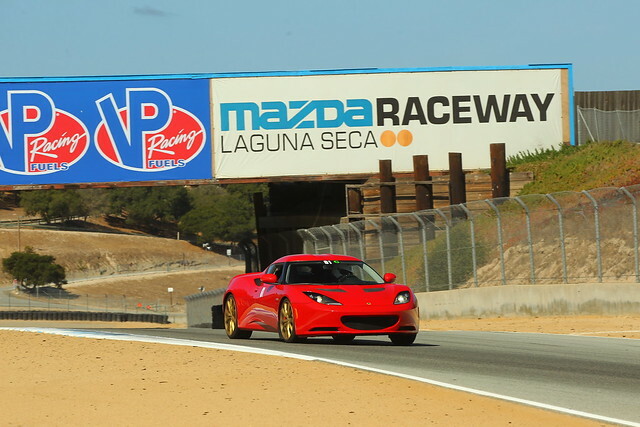 While the Evora S IPS is an amazing daily driver, I was very curious to see what it would be like to drive on the track so I took it to Laguna Seca to see whats what. However since this was only the first session and I had already paid for the day I decided to do session 2 exclusively with manual paddles. Plus having done a full session I now had a better idea of which gears I would be using and what my shift points would be. This time I started upshifting at either 6500 rpm or as soon as the first shift light illuminated which meant that I did not use the full 7200 rpm but I also did not keep hitting the limiter on the straight. I also started down shifting earlier in the braking zone more in line with where I’d shift in the manual Elise. After these changes the upshifts were still a little clunky (there is a distinct surge on upshift especially into 4th) but the downshifts became excellent and were much better than my decidedly average heel and toe skills. After some thought I went out in session 3 and changed my driving style to suit the particular capabilities of the gearbox and the relatively long gearing. I became more aggressive with the downshifts and started going down to 2nd gear in T2, T5, T7, T10 and T11 whereas in the Elise I would only reach 2nd in T11. Additionally I started staying on the power and upshifting on the straights whereas in the Elise I would often not upshift just before a braking zone and would instead feather the throttle to hold off the redline. After these changes I was able to get in a bit of a rhythm and actually knocked out a 1:51 lap which is much faster than I expected on the 400 treadwear tires the car was on. The chassis itself felt very settled and tended towards understeer while I was not able to get any power oversteer which is likely due to the open diff on the car. The balance of the car felt good and it really does encourage you to push it harder. The braking distance was ok and had a lot of tire squeal but I attribute that to the bad tires as well. I plan on getting some more aggressive street tires on the car and with some practice should hopefully be able to get around the 1:45 range. 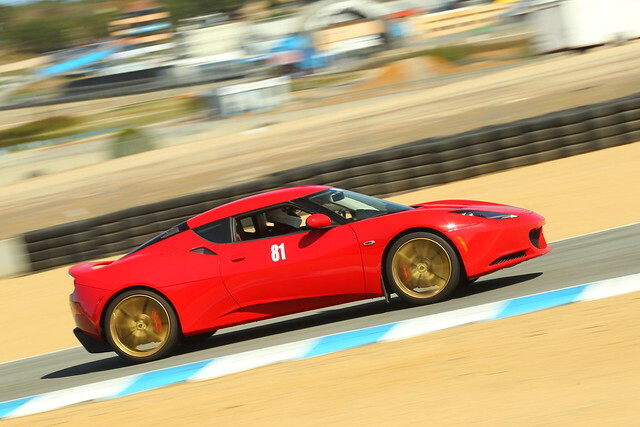 So all in all I’d say that the Evora S IPS is a fantastic street car and an ok track car. While it can be pretty fast on track with a modified driving style, I’d suggest that you get a manual gearbox if plan on doing any serious track work. In my case the IPS going to be my daily driver and will only be pressed into track duty if the Elise has any issues. 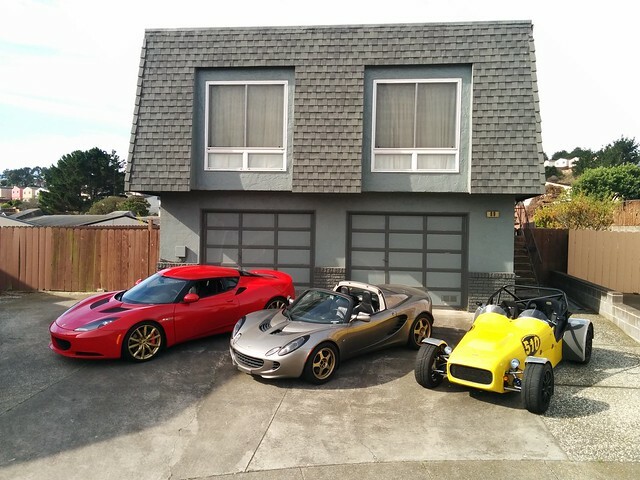 I’ll close this post with a pic of all three Lotus together – its quite interesting to see the size differences between them.